Peppa Pig is big with the kids. I know my daughter has been in love with Peppa and her brother George for years. And Peyton has also been obsessed with muddy puddles. Just like Peppa. Typically we can only see Peppa on television. My daughter has been begging to see Peppa Pig in person for years. So I did my research and it really looked like the only way we would ever see Peppa Pig in person is if we went to Peppa Pig World. In England. Yeah, I do not see that in our immediate future. And now I don’t have to keep checking plan tickets to England because……Peppa Pig is on tour! For the first time ever Peppa Pig is traveling the United States. And George is with her too! Come join Peppa, George and her friends in Peppa Pig Live Peppa Pig’s Big Splash! Watch them sign and dance on stage. Your little one is going to flip when they see Peppa Pig in person. I know Peyton is going to be squealing with delight when she see’s Peppa. Peppa still has lots of places to stop on her tour. I know she is stopping in Minnesota on Saturday March 19th. And we’ll be there! You can see a complete list of Peppa Pig Live Peppa Pig’s Big Splash! tour dates here. 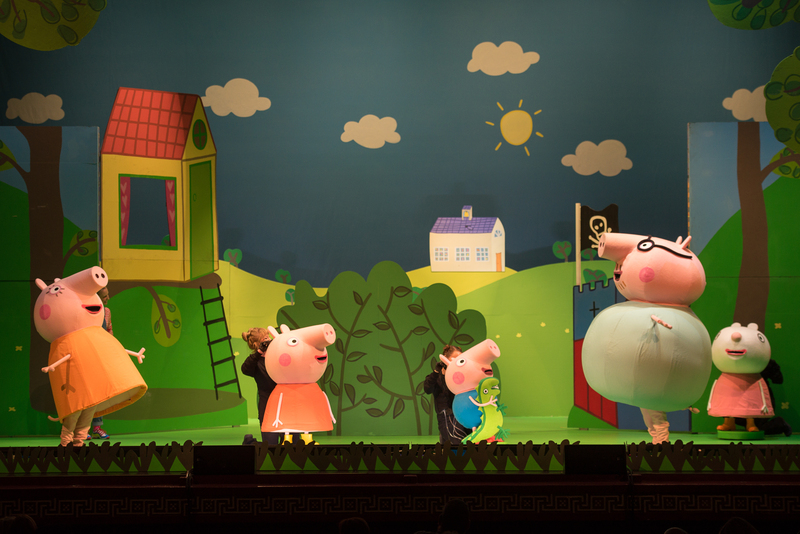 Check to see if Peppa Pig and her friends are coming to a town near you. And if she is I highly suggest purchasing tickets as soon as possible. When word gets out that Peppa Pig is on tour (for the first time EVER) I bet seating is going to be limited. And if you are in Minnesota and will be attending the March 19th performance keep an eye out for us! Peyton is going to try and squeeze into her Peppa Pig dress. To find out more about Peppa Pig Live Peppa Pig’s Big Splash and for a complete listing of shows click here. 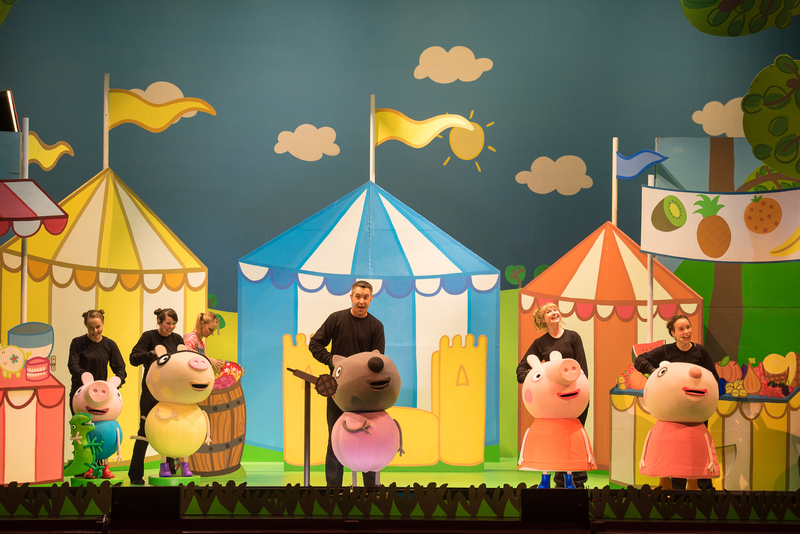 Follow Peppa Pig Live on facebook to keep update to on new tour dates being added and updates.